From the pulpit of an African-American church in Detroit not long ago, Bishop Corletta Vaughn offered a rousing endorsement of Hillary Clinton that went far beyond politics. With a smiling Clinton sitting a few feet away in the purple-walled Holy Ghost Cathedral, Vaughn said she had seen Clinton "take a licking and keep on ticking." Alluding to Bill Clinton's past infidelity, she added: "I'm not talking about politically. I'm talking about as a wife and a mother. That's when I said: I love that woman. She taught so many of us as women how to stand in the face of adversity." 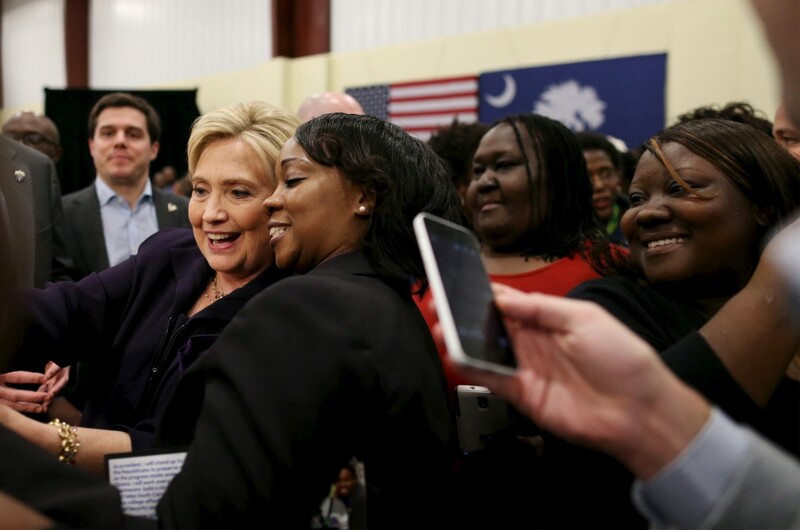 During a primary season in which she has faced surprisingly strong competition and been bombarded with criticism of her trustworthiness, Clinton has maintained a strong bond with one significant bloc of Democratic Party voters. Black women, part of President Barack Obama's winning coalition in 2008 and 2012, have locked arms behind Clinton, hailing her as a Democratic standard-bearer, survivor and friend.